Where and when did you get married? We married on 8th February 2013 at Centennial Parklands Dining. 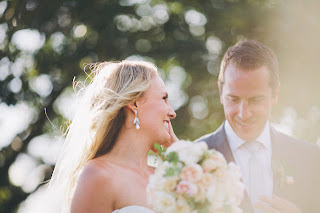 With continual rainfall leading up to the wedding we were particularly lucky with blue skies and the sun shining for our outdoor, garden party wedding. We were also lucky enough to have a 2nd wedding in Mexico, where my husband is from. Tell me about your dress? I found my dress at Savvy Brides in Double Bay. After trying on a few dresses in the store, the Karen Willis Holmes dress fit like a glove and I knew straight away it was the one for me. It was romantic, feminine and soft but still had a modern edge. Mandy at Savvy Brides was a true professional, she was friendly and attentive which made the experience thoroughly enjoyable. What was the highlight of your day? My hubby is Mexican so the day was really about bringing two cultures and families together. It was so special to see all of our friends and family together, singing to a mariachi band, enjoying the beautiful parklands and getting the chance to express how much we love and admire each other… oh and the gelato cart was pretty delicious too. · If there is one piece of advice you would give other brides, what would that be? Enjoy the process… but do it together. There were many times when I thought had the best plan or idea without I considering that my partner might have thoughts to add. 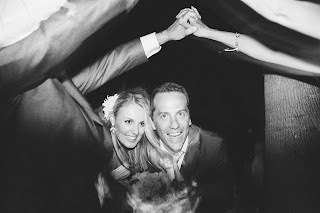 When I brought things up with him I was continually surprised about how much he also cared about the little things and together, we were able to create a wedding that truly reflected the two of us. Not every male is interested in each minor detail, but include him in as much as you can. You’ll have a better time doing it and he may also come up with things you’ve not thought of!